It seems you can grow peppers, any kind of peppers, from the seeds inside the ones you buy at the grocery store. So they are “free” in effect. So save those seeds! 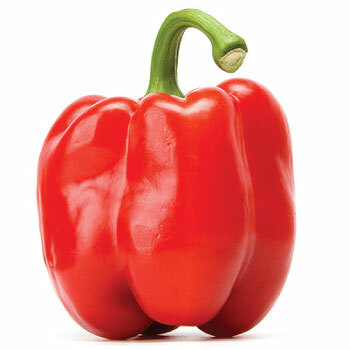 Remember that those beautiful & expensive red peppers at the store are just green bell peppers that were allowed to turn red on the plant before picking. Once they turn red they are much sweeter and contain a lot more vitamin C. We eat bell peppers raw about 3 meals a week for their C and their taste. And it’s a lot less calories than drinking orange juice for C.
Just follow the directions in this Instructable to grow bell peppers and any variety of hot peppers. Enjoy! canadianbudgetbinder, I was surprised myself that this works. So many plants are hybrids these days. A friend of mine does this all the time, so I know it works. I’m thinking they could be saved for another year. Cheers to you & Mrs. CBB!